This Picture Frame Incorporates Gray and Clear Acrylic for a Truly Unique Display! 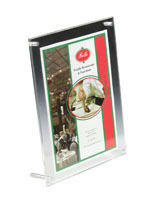 This Picture Frame will Hold any 8-1/2" x 11" Menu, Poster, Sign, or Photo! This Cheap Photo Frame is one of our Most Popular Items! Features binding screws for fast and easy graphic changes. Frame design fits 8-1/2" x 11" prints vertically or horizontally. 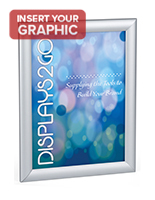 See-through frame creates exquisite design for business or retail displays. This picture frame, also recognized as a sign holder, offers an easy method for exchanging photos. 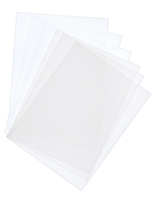 All you need to do is loosen the screws, insert your 8-1/2" x 11" prints between the two pieces of acrylic, and your picture frame will be ready for use. 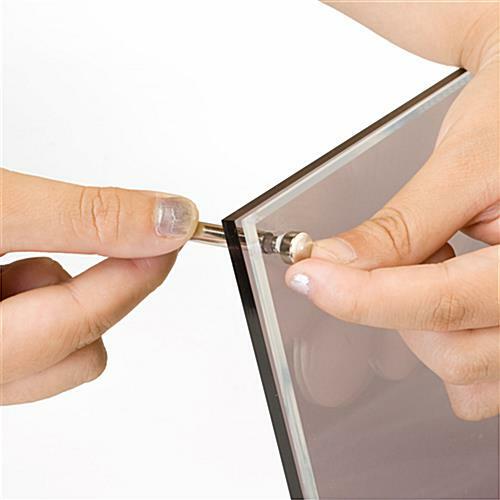 The four metal binding screws will hold images in between the two panels securely. 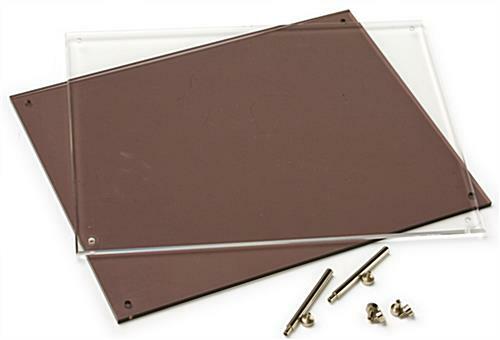 This countertop display, picture frame is engineered to stand horizontally or vertically offering you more options when choosing the pictures to be showcased. Proudly display your special photos with this picture frame! This picture frame adds a stylish essence to your most cherished photographs. 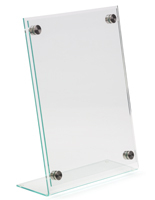 The sleek, see-through clear picture frame blends in with any countertop or tabletop décor easily. 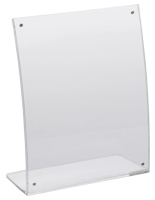 This acrylic sign display, picture frame will be an ideal addition to end tables, bookshelves or desks in an office. 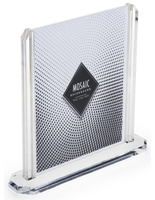 Impressively crafted from rugged acrylic, this clear acrylic picture frame gives you the freedom to exhibit any themed picture, pricing information or media content. 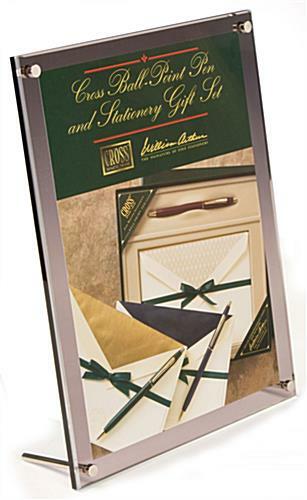 The uncomplicated classic design of this picture frame will keep your photos the center of attention. 8.3" x 12.3" x 3.0"